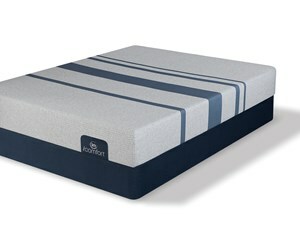 The All-New Serta® iComfort® Sleep System. Intelligent. Individualized. Inspired™. To respond to individual needs for temperature regulation, comfort and support, Serta has redesigned iComfort® to intelligently respond to your body, making it their most advanced sleep system ever. To help materials remain comfortable regardless of humidity or temperature, all advanced memory foams in iComfort® mattresses are now enhanced with Serta’s EverTemp™ Technology. The following features enable a sleep experience that satisfies 97% of iComfort owners. EverFeel® Triple Effects™ Gel Memory Foam (Select Models) – Millions of Titanium gel beads are infused in an advanced material to aid in temperature regulation while you sleep, provide added support and relieve pressure points for increased comfort. EverCool® Plus Memory Foam (Select Models) – Cushioning memory foam that gently cradles the body and provides additional heat dissipation. Cool Action™ Gel Memory Foam (Select Models) - MicroSupport® gel bead layer that provides pressure relief, targeted support and heat dissipation. SmartSupport® Memory Coil System (Select Models) – World’s first memory coil support layer that continuously adapts to the contours of your body for conforming body support. Ultimate Edge® Foam Support Core – Durable advanced foam system strengthens the mattress edges to prevent “roll-off” and provide overall body support night after night. The 14" Serta iComfort BlueMax 3000 Elite Plush is the softest iComfort mattress. 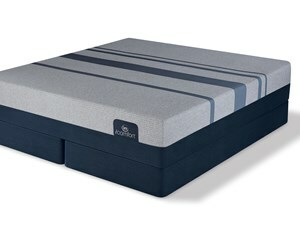 It features layers of EverCool® Supreme Memory Foam & Fuze Gel Memory foam that provide a plush, yet supportive feel. 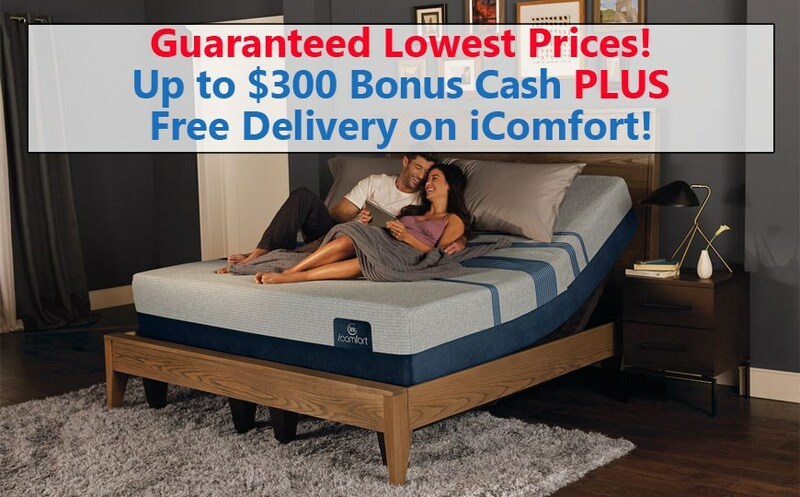 The 13.5" Serta iComfort BlueMax 5000 Elite Luxury Firm mattress features ActiveBalance™ support foam and 2 layers of Deep Reaction™ Memory Foam for support with a moderately firm feel.